The owner of BRS uses these lights on his personal tank. Kessil produces their own Dense Matrix LED chip which gives them ultimate control over spectrum of the LED chip and the quality. 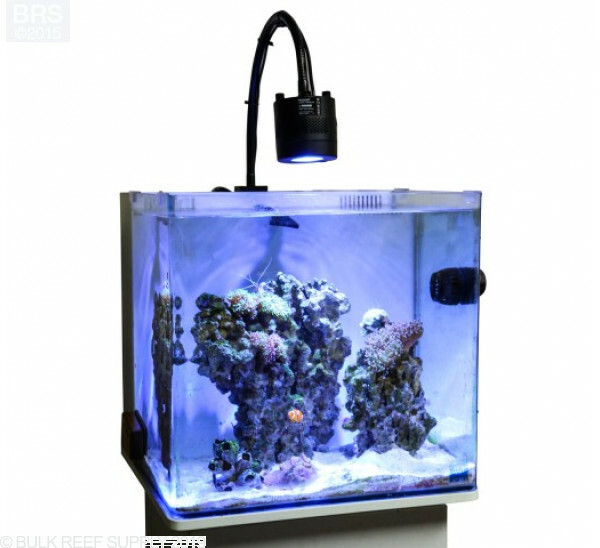 They can be used with or without a controller and give a very natural metal halide shimmer. Now amazing shimmer with a controllable LED. We can't help but be impressed with the natural looking lighting effect produced by Kessil LEDs. They produce an amazing shimmer to rival a metal halide and you can even see the shadows of fish swimming over the sand - just like in the ocean. Kessil has put years of research into their LEDs creating a Dense Matrix LED which tightly packs the LEDs onto one chip with numerous colors and numerous wavelengths of light. Choose the A360N-E model to provide maximum penetration and the A360W-E Series Wide Angle to provide maximum coverage. Clean simple install, cool running, easy to use controller, had great growth and color throughout the tank. Shortly after the two year mark I had my first light fail. I bought another to replace in while sending it in for repair. I was told it was unrepairable, and was offered a replacement for a discount. I declined and had them send it back. Two months later the next light died. Followed by a third a month after that. 3 out of the set of 4 I first bought died, and I pulled them all out. on ever failed light the same two leds in the chip seem to have failed. I don't know if it was the cause, or a result of something else failing. Either way, it's time to move on to someone who can provide a product with cost effective service options for long term use. I have both Kessil and Radion Pros on my 600 gallon tank. I just love the shimmer better with the Narrow 360 ane my tank is 40 inches deep so it covers without inventing ways of making deeper light penetration strategies. I currently have two of the 360s over my 36 gallon bowfront. The tank is 21 inches deep and 30 inches wide. Ever since I installed these lights, the growth of my corals and anemones has taken off. But brown diatoms have exploded across the reef floor. Any suggestions on the Lighting schedule but I should be using to still give good coral growth and yet reduce the brown diatoms? 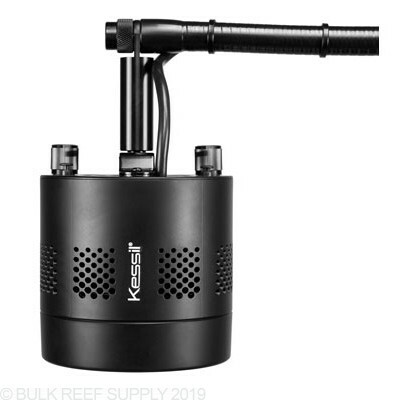 I've been using these lights kessel360w for 2yrs on a 180gal tank.I've never had any problems growing anything with these lights..I bought 1frag of hammers an 1frog spawn frag 1yr ago an now the hammer has about 30 heads an7 drags off of it an the frog spawn has 25or more heads haven't dragged it cause it looks amazing.if ur having problems growing corals you might need to do more water changes.I don't rely on chemicals just sully on water changes an use salinity salt an rotate with reef crystals salt.I love the lights an my corals do to makes taking care of my tank easier. There are some things you just have to take the time to write a review on. I am completely satisfied with my decision to purchase these lights. So for those of you out there like me that don't have a lot of money and have to save a long time to get lights, this was my experience. Well I got the lights on my tank and everything we've all read about the shimmer is absolutely true. The tank looks amazing. But..... I noticed one side of the tank looked a different color when the color was on the blue. So after some investigating, sure enough, one light was almost purple instead of blue. 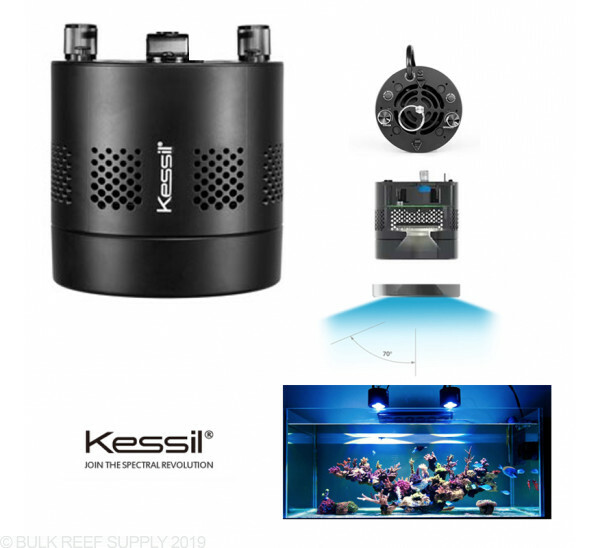 Called kessil right away. Customer service was excellent! 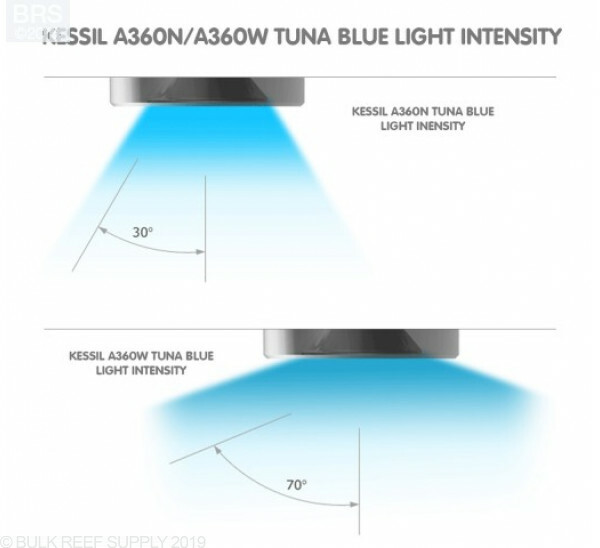 Kessil sent me 2 brand new lights free of charge. I also have to say, within a week I'm seeing my mushrooms are looking a lot more green. I really think this light for me was the missing link. Amazing led light guys. 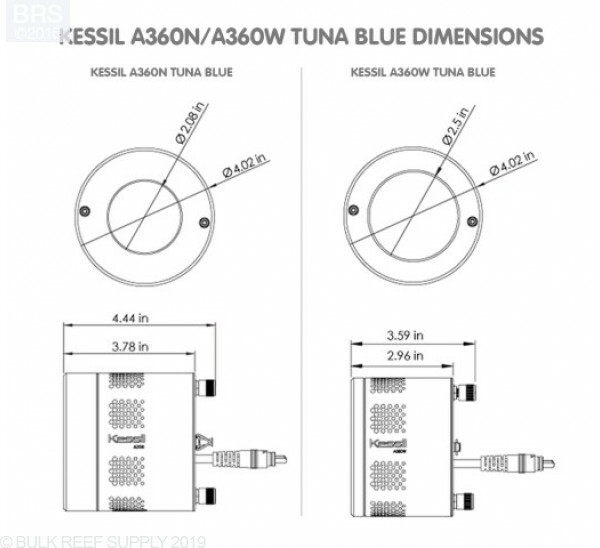 I have four A360N Tuna Blues and 2 A160 blues on goose necks to fill in the shadows. I installed them In April of 2015 to replace another brand of LED fixtures that had lasted about 2-1/2 years before some of the diodes failed. Today - January 17, 2016 one of the A360N's failed. I blow them out once a month and they are in a well ventilated area. I get great growth of all types of corals with them and I love the energy savings and cool operation. I was a fan until this one failed. It's not the power supply which would have been a cheap easy repair. Its the light itself. $400.00 is too much to pay for a light that lasts less than a year. I just had to spend another $400.00 to buy a replacement because I can't afford to replace the whole system. 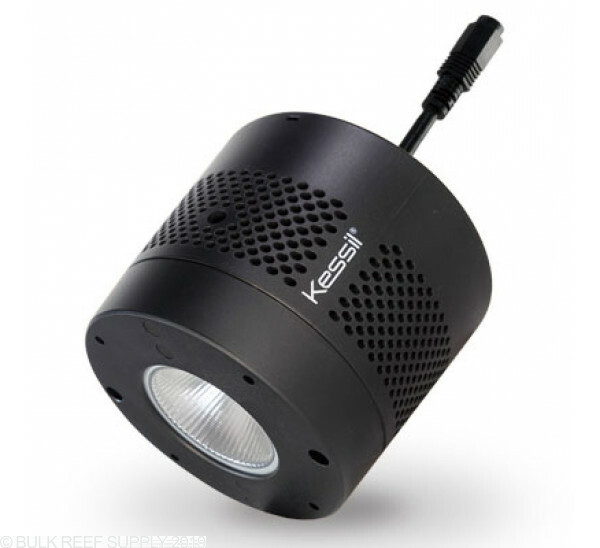 Kessil invested a lot in R&D to come up with these lights, now they need to spend a few bucks on figuring out how to make them last longer. I'd stick with lights that use pucks with lots of emitters and allow for replacement of the puck instead of replacing the whole light. LED is great - I hope somebody can figure out how to make one last a reasonable amount of time. I love these lights but if you are looking to grow corals you will need to supplement these with T5's. the color and shimmer is amazing. 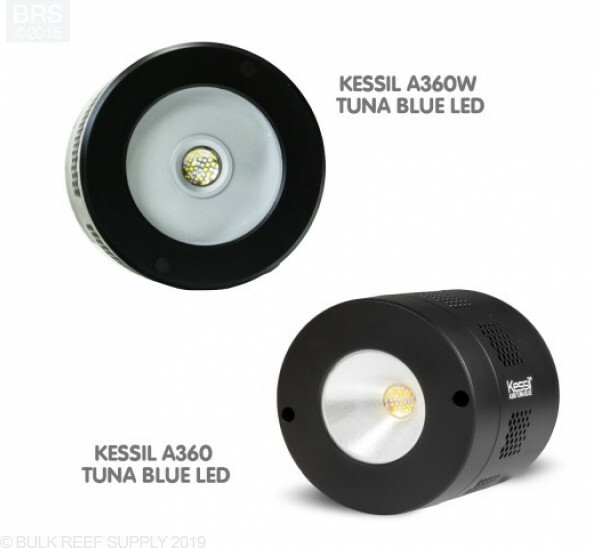 I've been running Kessil 350s over my 125 for about a year now and I have to say that I don't get sps/lps growth with these lights. 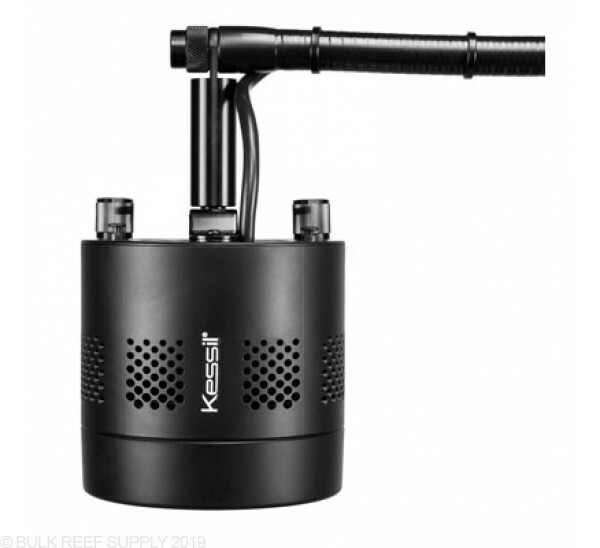 I contacted Kessil to get some advice and they basically said they can't help me and to find another "experienced reefer" for help. Yes they give amazing shimmer and the light is crisp. But I would like to see growth in my corals, not just color. Also a lot of my sps have all gone the same colors, while parameters are perfect. 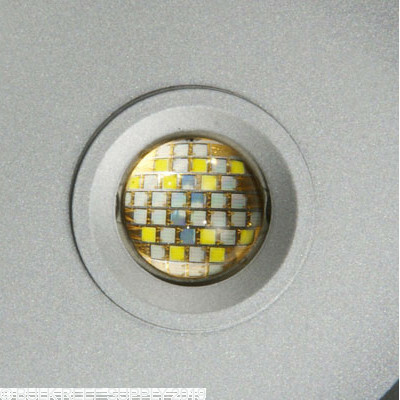 Be advised that I've had LEDs burn out on another Kessil fixture and it's more expensive to repair the light than it is to replace it. Not worth it to me. Amazing light works amazingly with my Apex! the shimmer is unmatched, and it stays super cool! But.... because of the limited diffusion the light possess, shadows are cast and causes die off on my SPS. kinda disappointing, wish i could find a way to get the shadows the go away. Only option i have found is T5 and LED. I have Metal Halides and the heat is just getting to be to much to deal with so it was time for an upgrade. 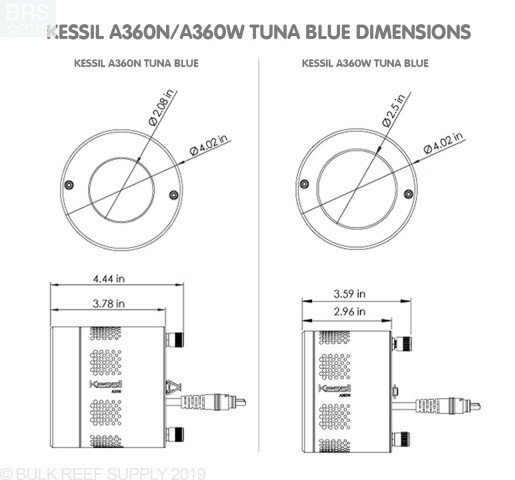 Looked at a lot of different options but the Kessils seemed to the the affordable option for what they claimed to do. I can say for 100% they are very much like my MH lights since I have one on it still with the kessil. 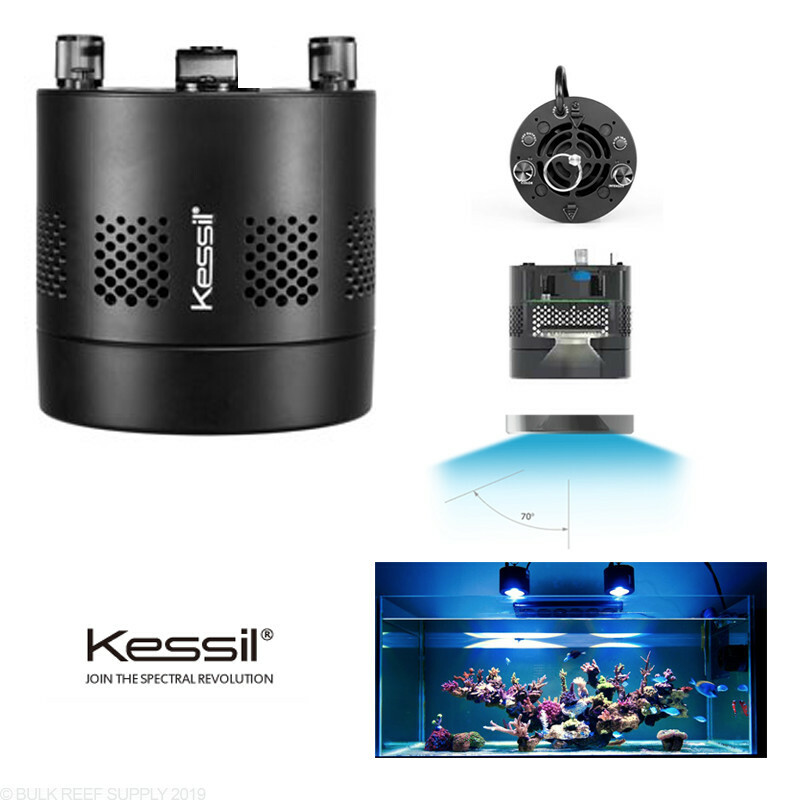 I only have the kessil at 60% with my apex and it is matching my 400 watt MH. I was just blown away and would not have believed it if I hadn't seen it. I save on my electric bill the heat is gone and my corals are responding better to the Kessil light then my MH. Will be buying a second one very soon. I started with one a few months ago and loved it. I recently upgraded to a larger tank and required a second one. Bought the link cable with it and have them both running off of the Spectral controller. Lights are great! 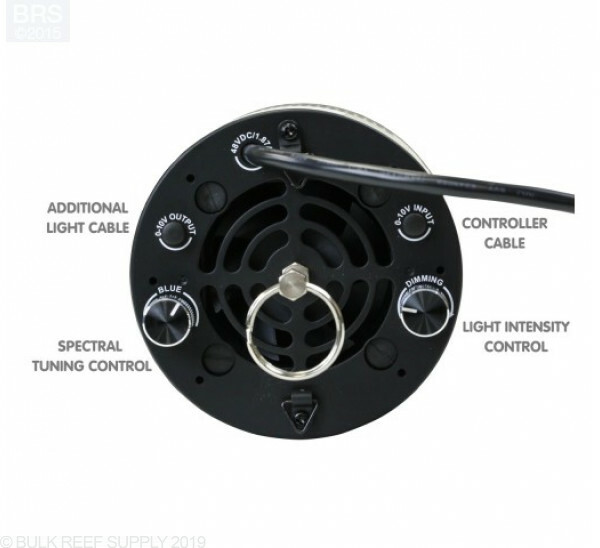 I’m looking to replace my black box led’s on my 210 gallon tank. I’m torn between LED’s and T5’s. I really like the look of Kessil but want to make sure these lights will work for an LPS/SPS tank or should I look towards ATI 48-60” 8 bulb fixture? Really any advice would be great. Thanks for getting in touch with us in regards to lighting your tank. With what you are saying I would consider waiting for the fixture that I have linked below to come out. This would allow you to get the best of both worlds, while maintaining a clean aesthetic appeal. Please let me know if there is anything else that we can assist with. Thanks!